This is the 60th in a series of articles analyzing major companies traded on the tech-heavy Kosdaq market. -- Ed. Listed game software developers in South Korea suffered lackluster performance in the second quarter this year due to sparse new releases coupled with external uncertainties. Moreover, analysts have considered the second quarter a typically low season for the gaming industry. On Aug. 5, the company said in a disclosure that it plans to hold an extraordinary shareholders meeting in September to gain approval for Double UGames’ transfer into upper-tier Kospi. Since then, the share price of Kosdaq-listed Double UGames further rose 19 percent over nine trading days until Friday. DoubleU Games market cap came to 1.2 trillion won ($1.07 billion) as of Friday’s close, the 24th largest in the Kosdaq market. The shareholders meeting comes as The8Games, a key subsidiary of DoubleU Games and parent company of Seattle-based social casino game developer DoubleDown Interactive, unveiled plans to go public on the Kosdaq in July. DoubleDown Interactive was wholly acquired in June 2017 in a deal worth 940 billion won. “A transfer of stock listing to Kospi has contributed to a short-term momentum-building, only if the company has strong fundamentals and is under favorable circumstances,” Sung Jong-hwa, an analyst at eBest Investment & Securities, told The Korea Herald. Headquartered in a nation where casinos are heavily tabooed, DoubleU Games has come up with casino games such as DoubleU Casino and Take5, as well as DoubleDown Interactive’s DoubleDown Casino and Ellen Slots. Targeting users on Facebook and mobile phones, DoubleU Games has taken 9.2 percent of global market share by revenue as of 2017, according to Eilers & Krejcik Gaming. The company’s second-quarter operating profit rose 353.3 percent on-year, while net profit jumped 430.6 percent, according to a consolidated financial statement released Tuesday. The operating profit exceeded the consensus estimate by 11.7 percent. Revenue in the first half reached nearly three-fourths of total yearly revenue in 2017. “(Revenues from) top liners (including DoubleDown Casino and DoubleU Casino) remained strong, while the company was able to achieve cost efficiency (in marketing),” Sung said, citing a 5.9 percent drop in operating cost on-quarter in the individual financial statement of DoubleU Games. Along with a cut in expense, moderate uptrend is expected to continue in the second half on the back the renewal of DoubleDown Casino, Lee Seung-hoon, an analyst at IBK Investment & Securities wrote in a note. But the biggest driver for the game developer stock price -- new release -- is not a likely option for DoubleU Games in the near future, Sung added. 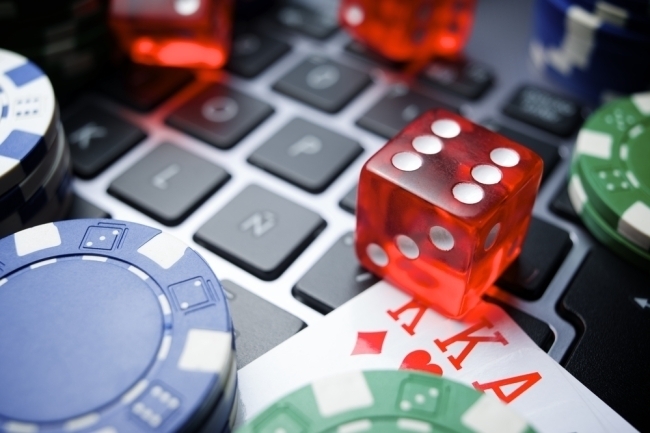 DoubleU Games distanced DoubleDown Interactive from the Big Fish ruling in a statement in April, arguing that social casino games’ “free-to-play feature” does not mean virtual coins in DoubleDown Casino provide the “privilege of playing a game without charge,” and thereby it does not constitute illegal gambling. Founded as venture company A Few Good Soft in 2012, game developer DoubleU Games was listed on the Kosdaq in November 2015, two years after the launch of DoubleU Casino on Apple iOS. Chief Executive Kim Ga-ram owns 40.75 percent of shares.